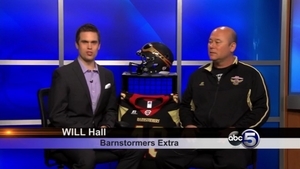 Tune in to ABC5 every Sunday at 10:00pm to catch Barnstormers Extra! An extra look at the Barnstormers 2014 season! Check out the latest edition HERE.